On 23rd April 2012, Maruti Suzuki India took a huge step forward by laying foundations stone for Maruti Suzuki Rohtak R&D Facility in Haryana along with its Institute of Driving and Traffic Research (IDTR). 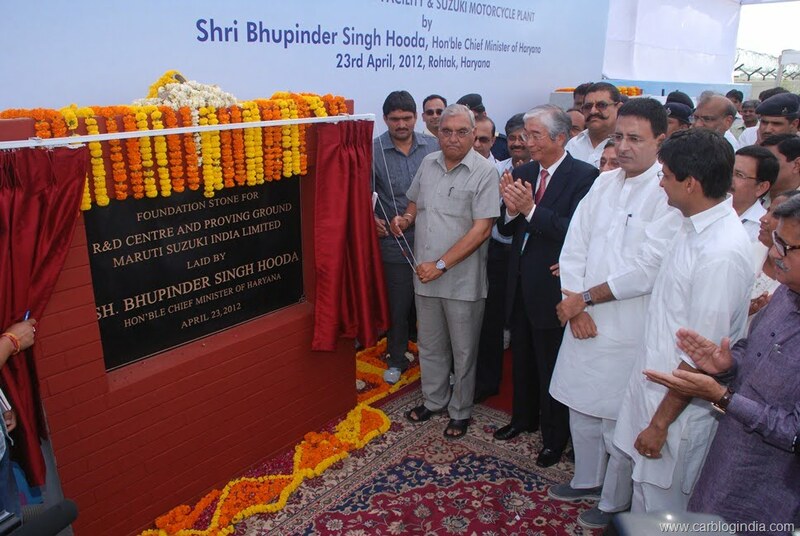 The foundation stone was laid by the Chief Minister of Haryana State, Bhupinder Singh Hooda for Maruti’s new Research & Development Centre and Proving Ground, and the IDTR at Rohtak. The occasion saw presence of senior member from Haryana Cabinet and other state Government dignitaries along with Mr. Shinzo Nakanishi, Managing Director & CEO, Maruti Suzuki India Limited. 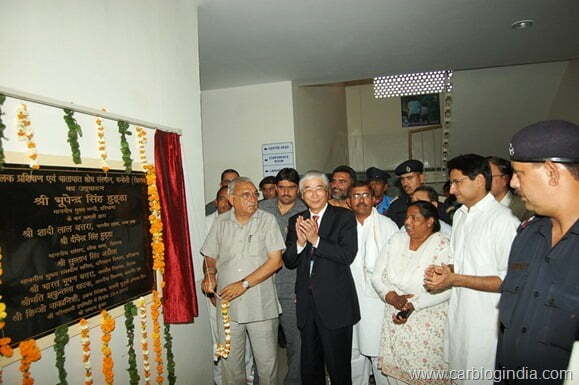 Maruti Suzuki Rohtak R&D Facility is spread over 600 acers of land and will attract an investment of Rs. 2000 to Rs. 2400 Crore in the coming years by MSIL. The facility is an integrated facility for R&D, testing and evaluation of vehicles within the same facility which will help develop newer models in coming years. Maruti is gradually increasing its manpower in the R&D along with scaling up its R&D Infrastructure, this will facilitate smooth scaling up of the development activities of new and more efficient cars in India. The IDTR is set up under Public-Private-Partnership between Maruti Suzuki India and the Haryana Government. IDTR has been set up to train 2000 people annually for safe driving practices. The IDTR is spread over 14 acers of land and has 4 classrooms for 40 trainees each with one LMV and one HMV simulator for training. It also has an in-house training track of 1.8 Km in length and an auditorium. IDTR will also conduct school children programs to make them aware of the traffic rules at an early age. In past few years, Maruti Engineers in India have had increased participation on pulling off significant car launched in India along with the Suzuki Engineering team from Japan. The successful launches like new Maruti Swift 2011, Maruti EECO, Maruti Ertiga, cars with fuel efficient K-Series engines, weight reduction of the new cars lineup for better fuel efficiency, improved quality and better interiors of the new lineup are the examples of the some achievements of Maruti Suzuki India’s R&D activities. Maruti Suzuki India R&D Center has been successful in rolling out alternate fuel vehicles powered by CNG and LPG Fuel which help in increasing fuel economy and are more eco-friendly. Recently after the Indian Union Budget 2012 Maruti Suzuki took a decision to develop a Diesel Engine plant at Gurgaon Facility while moving part of the production facilities to Manesar and Gujarat in longer run. Also Mr. Nakanishi recently revealed that Maruti Suzuki will be accelerating the development activities for the Maruti Compact SUV for India which will be based on Maruti XA-Alpha concept so that it can be launched as early as possible. We will keep an eye on the developments and will keep you updated. For latest news updates, sign up for our free email newsletter and like our official Facebook Page.